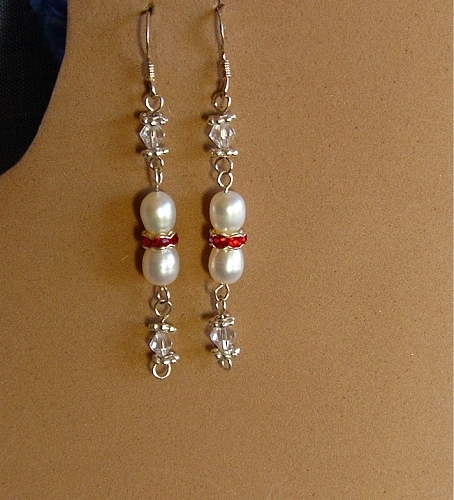 Pearl and Crystal earrings, with red crystal ring, approx 1.75 inches long, below fishhook, 0.925 Sterling Silver. Pearls: for 3rd Anniversary (or birthday), or 30th Anniversary (or birthday), Pearl Jubilee. June birthstone. Cancer Zodiac sign (6/22 to 7/22 birthday) is pearl.